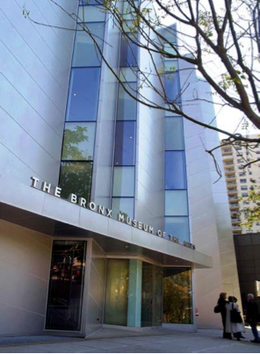 PMS Construction Management Corp. (“PMS”),The Department of Design and Construction (“DDC”) and The Department of Cultural Affairs (“DCA”) have all collaborated for the construction of an addition to the Bronx Museum of the Arts. Through close coordination between the project architect Arquitectonica and PMS, the construction of this award winning design was completed on time and on budget by PMS retained, supervised and managed contractors. This modern facility is wheelchair-accessible and provides a new lobby, galleries on the first and second floors, classrooms, a storage facility, office space and an atrium. The installation by PMS’ HVAC contractor of a completely automatic temperature control system for the HVAC equipment is one of the steps taken to minimize the buildings carbon footprint. The interior finishes, lighting and all mechanical equipment were selected and installed to meet the stringent requirements of a museum environment. In addition to ensuring that all construction met the requirements of Arquitectonica’s design, PMS was also instrumental in the relocation of an uncharted buried sewer line that ran through the museum property from two adjacent properties thereby minimizing the impact on the overall construction schedule. PMS provided Construction Management / Build services for the construction of the three story high structure with inclined planes of finished metal and glass curtain walls on the west facade. The new three story building, with elevator travel between cellar and third floor, consists of approximately 13,500 square feet with an administrative and media room on the third floor. 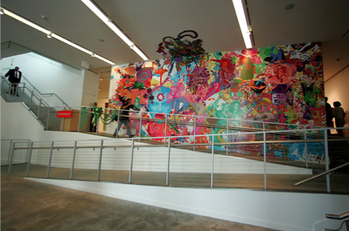 The first and second floors consist of the lobby and gallery space. PMS bid out the four trade contracts, according to Wick’s Law, and also hired the controlled inspection consultant to perform construction related services. The four trade contracts, change orders and administrative related services brought the total cost to approximately $13 million. The North Wing addition was built to expand the gallery and exhibit space and features the most modern gallery, a new inviting lobby decorated with architectural wood panels on the north wall and an integrated lighting and audio/visual system. The integration of the North Wing addition and the existing building was coordinated so as not to interrupt the Museum’s exhibits during construction. This was accomplished through the provision of one passageway on the first floor level and one in the cellar. Additional wall openings have been provided at the second and third floors along the south shear wall to meet the future plans of erecting a multi-story apartment building at the location of the existing museum. 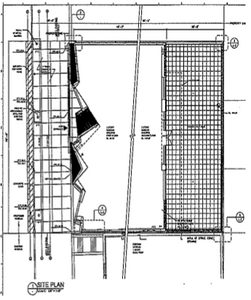 The Exterior Metal Wall System along the west facade is supported by 6”x6” steel tubes and is braced at all floor levels as well as to the roof parapet grit for resistance against wind load. PMS worked in conjunction with the structural engineers and our trade contractors to provide an efficient structure and implement necessary changes as required in all aspects of the construction. The performance of the curtain wall and window system was verified with tests performed by a third party independent testing agency. An Existing Sanitary Line was encountered on the lot where the new building was to be situated during site clearing activity. In order to proceed with excavation and construction of the reinforced concrete foundation wall the existing sewer line from two adjacent properties was required to be relocated which resulted in adopting a modified fluming method. This required establishing the high point elevation of the flume pipe for the existing sewer and installation of the temporary sewer line along the exterior north wall of the existing foundation. The DEP approved the fluming method for the temporary sewer, which was tied into the combined sewer at the sidewalk. An unsupported grade beam was discovered at the south east corner of the existing Bronx Museum structure during rock excavation for the new addition. This existing condition revealed a void in the previous rock excavation at this location, which extends into the south east corner of the new foundation wall. The structural integrity of the reinforced concrete shear wall would have been undermined if this condition remained. PMS worked closely with the structural engineer and the architect to provide an additional support concrete pier. All remedial work was performed with the intent of mitigating project delays. The new construction is within seventy feet of an existing subway and two adjacent buildings (the existing Museum to the south and a Nursing Home to the north of the excavation). Extensive vibration monitoring was required by the New York Transit Authority during excavation activities. This also required close coordination with the foundation engineers. This activity was performed and jointly reviewed by PMS and representatives of the New York Transit Authority. The new construction at the Bronx Museum of the Arts stands as an example of successful accomplishment of a unique and complex design. This can be attributed to close and active participation, problem resolving ability and proper execution by project participants and personnel.